This baby's tells us that with god all things are possible. That is why we should all walk in love Claudia. the baby is the most beautiful one I've seen in my life I wish it was mine.but I will get a mixed race one with blue eyes from father or generations. 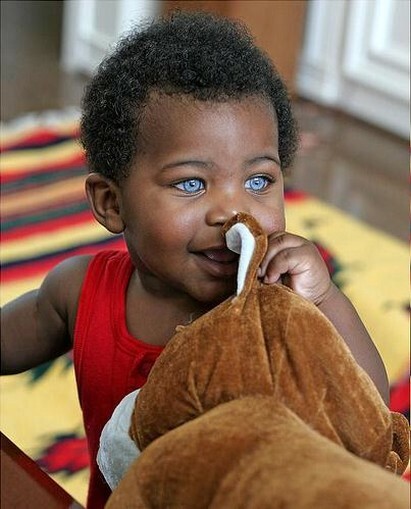 This is how I want my baby to look but I know the color of they guy's eyes are going to dominate so my little mixed baby won't have blue eyes but this boy is beautiful!